HAPPY FRIDAY!! I'm so glad you're here, playa! I'm early today, so grab your coffee, relax, forget about your real world responsibilities for a minute or two and enjoy a round of "Spot the Differences"! This week's game photo was taken by Ben DuBose. I usually will post these on Fridays, so come back again next week! 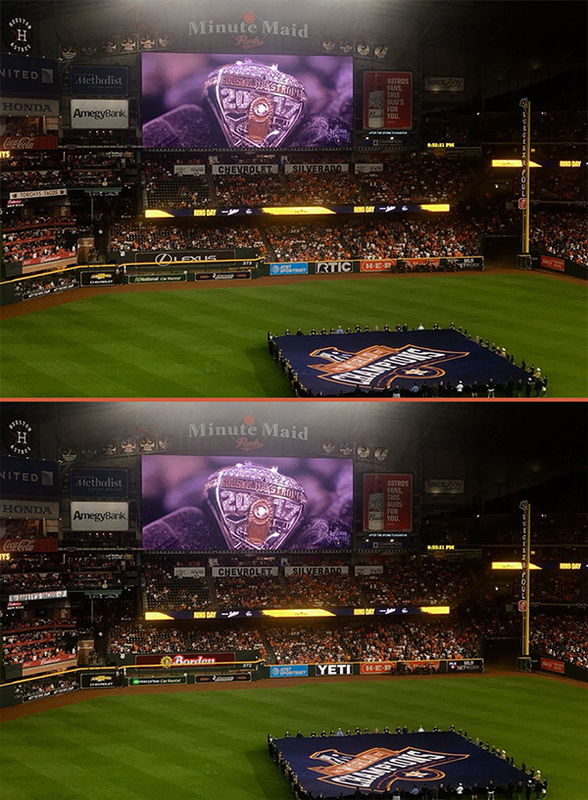 PHOTO REQUEST: If you attend an Astros game or event and take a cool photo, send it to me at elleeeeemm@yahoo.com to be considered for a future differences game. 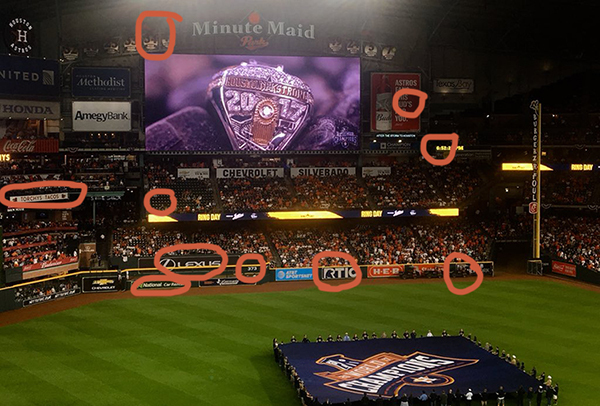 Please keep in mind that, to me, all Astros photos are great, but in order for one to be selected for a game, it must be clear, have detail enough for me to alter ten things and please, no personal photos. Credit will of course be given to the photographer. Thanks!